Editor’s Note: This story was originally featured in the April issue of DSNews, out now. Peter Wallison is the first to admit that his beliefs on housing policy may be controversial. However, having served as White House Counsel under President Ronald Reagan, as General Counsel of the U.S. Treasury Department from 1981 to 1985, and now as the Arthur F. Burns Fellow in Financial Policy Studies at the American Enterprise Institute, he has no problem fighting for his beliefs at the highest level. Recently, Wallison took a bold stance by declaring the U.S. Treasury Department “rogue” in an op-ed for The Wall Street Journal. In the piece, Wallison voiced his confusion that the Treasury Department seems to be veering away from the Trump administration’s overall focus on deregulation. However, he also stressed the importance of “substantial private capital” being involved in any new system, so as to limit taxpayer risk. “If there is any guarantee, [it is important] that taxpayers are paid for putting that up, as opposed to explicit guarantees that weren’t compensated in the past,” Mnuchin said. Wallison’s stance is rather different. “I think the most important thing to understand is that the only reason for the government to be involved in the housing finance system is to help low and medium income families buy homes,” Wallison told DS News. 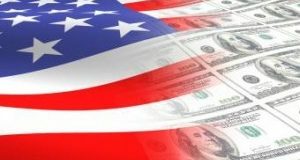 After the U.S. economy and the housing market endured the traumatic Great Recession, developing comprehensive policies on housing finance was a crucial aspect of reviving the economy. Now, between an administration that has taken a new stance toward financial policy and the continued fluctuation of the economy, it may be time to take a look at what regulations may need to be updated in the face of today ’s market conditions—controversial or not. 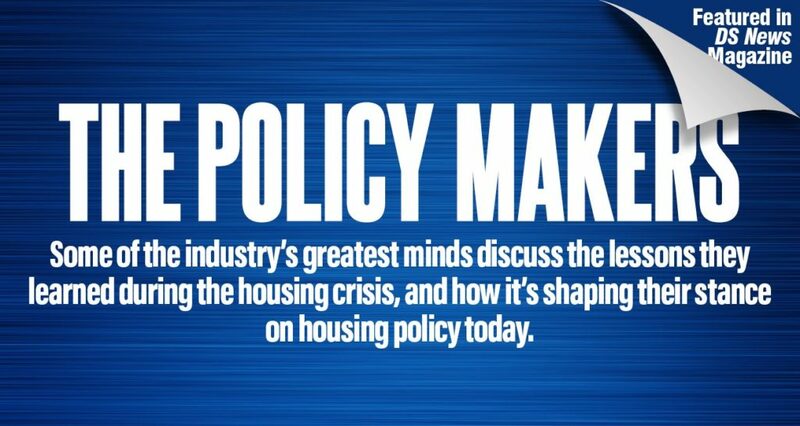 To address this, we spoke to some of the industry’s greatest leaders about the lessons they learned during the housing crisis, and how it’s shaping their stance on financial policy today. Additionally, DeMarco noted the need for transparency to make financial markets work, as too much of the housing finance system was opaque going into the crisis. However, DeMarco’s most thought-provoking lesson learned during his time at the helm of the FHFA is the reminder that concentrating economic activity on a few players, Fannie Mae and Freddie Mac especially leads to systemic risks. 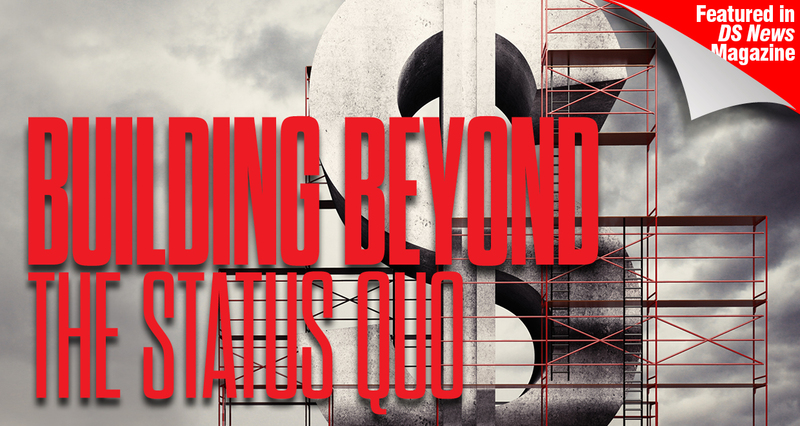 DeMarco believes consumers and lenders are more risk-averse in the wake of these changes. While that’s healthy, the negative of this is postcrisis regulations that arguably went too far and today may be limiting credit and innovation in the marketplace. What’s the cure? DeMarco urges establishing equilibrium and balancing regulations with extending credit and encouraging innovation. After the savings and loan crisis, most mortgage credit risks either ended up in a government guarantee program such as Federal Housing Agency (FHA) or Veterans Affairs (VA) or at Fannie Mae and Freddie Mac. According to DeMarco, Fannie and Freddie retained virtually all the credit risk on $5 trillion of mortgages, while operating with a broadly perceived backing of the government. This was reinforced by remarkably weaker capital requirements set in statute, and weaker relative to what banks and thrifts faced. Fundamentally, housing finance reform is about replacing that concentration of mortgage credit risk in two GSEs with a competitive private market for mortgage credit risk that seeks private capital through numerous channels and across many risk holders. Hon. Joseph Murin, Chairman of the Board of Chrysalis Holdings JJAM Financial Services, formerly served as President of Ginnie Mae, where his efforts ensured strong support for the housing market during the worst of the housing crisis. He served both the Bush Administration and the Obama Administration during his tenure. Ginnie Mae’s monthly issuance that was between $7 billion and $9 billion started to grow rapidly and ultimately peaked at around $70 billion a month, which caused a lot of issues. When Fannie and Freddie were thrown into conservatorship, there was a lot of confusion in the marketplace. Foreclosures began to accelerate and the only liquidity vehicle available then was government loans through Ginnie Mae issuance. But what stood out the most to the former Ginnie Mae President during the crisis? It was the resilience of the American people on any level, on anything. Jack Konyk, Executive Director, Government Affairs, Weiner Brodsky Kider, has over four decades of financial services experience and serves as a voice for the industry with legislators and regulators at all levels of government. For Konyk, reflecting on the post-crisis era involves looking back at the different administrations. According to Konyk, during the Obama administration, there was an extreme reaction to economic circumstances, some it deserved, and some of it not. “There was a willingness upon a lot of the regulatory community to just blame the industry for everything that happened and crackdown, literally, on just about every practice they could find; which caused a great deal of angst,” said Konyk. Of course, the industry was simply reacting to the economic realities of the downturn, but there were a lot of distractions in trying to respond. From lawsuits and regulatory actions to trying to interpret and implement regulations that were incredibly severe. “The industry just knew it was walking on eggs, but it didn’t know exactly where the safe paths were,” said Konyk. As for the current administration, Konyk believes there is an indication that this administration is more willing to look at business as a positive partner in the operation of the economy and not necessarily the enemy. Although, this administration hasn’t been adept at making leadership appointments. One of the greatest issues today, according to Konyk, is the need to place rational, reasonable, regulatory authorities and leaders in key governmental positions who will work toward establishing a marketplace that Americans can rely on, understand, and operate confidently in, without inadvertently causing massive risk to the companies. In June 2017, DeMarco testified before the U.S. Senate Committee on Banking, Housing, and Urban Affairs during a hearing on, “Principles of Housing Finance Reform,” as President of the Housing Policy Council (HPC), a division of the Financial Services Roundtable. The HPC’s 32 member-firms are among the nation’s leading mortgage originators, servicers, insurers and mortgage data service and settlement providers. DeMarco testified that these leaders operate in the mortgage market every day and they want it to be healthy and stable for the future to serve their customers—current and future homeowners. Just as rulemaking and regulatory oversight involve balancing competing interests for the greater good, so does running a trade association that’s concerned with markets functioning efficiently and effectively. While there aren’t very many policy issues that are cut-and-dried, right and wrong—most inevitably involve trade-off s.
Today, the regulatory framework is undergoing a fresh round of thinking with the new administration and with the new regulators that are taking their seats. Regulators are looking to improve the balance between ensuring there are guardrails in place while making sure those guardrails are not, in fact, limiting access to credit and inhibiting economic growth. Ending the conservatorships, giving market participants certainty about the role of government and the market structure in which they’ll compete. Second, modernizing FHA so that lenders may have confidence in how the program operates and can judge and manage the risks involved. Lastly, more significant opportunity for innovation and the use of technology in mortgage lending. That would improve risk management. It would lower cost to borrowers. It would enhance product offerings. And, according to DeMarco, reduce the long and uncertain timelines many families face today in applying for a mortgage. So in sum, the current focus remains on Housing Finance reform, improving the FHA program and creating more opportunity for innovation and the use of technology in mortgage lending. As for the government involvement with the housing finance system, Murin believes that as long as the system establishes a secure government backstop, cost of liquidity can maintain itself. According to Murin, moving housing to the private markets will cause the cost of liquidity to go up. So there has to be a consistent abundance of credit available for all levels of borrowers in the marketplace at all times. 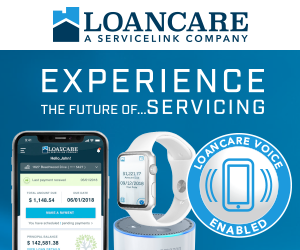 However, with a fair credit loss responsibility and accountability system that allows the government backstop to stay in place, Murin believes in the creation of a mortgage finance system that can meet the needs of every level of a borrower in the marketplace. Tim Rood serves as Partner of The Collingwood Group, which he co-founded in 2009. Rood brings more than two decades of the mortgage industry and entrepreneurial experience to The Collingwood Group. He advises organizations to optimize the business opportunities and to mitigate and manage the risks in and around Washington, D.C. There is a need to take into consideration that the GSEs are designed to be counter-cyclical, which, according to Rood, is critical to the housing market. In bad times, the GSEs will be in every market, every day, with competitive pricing, a facet that comes from their borrowing advantage and implicit guarantee by the federal government. The GSEs can be borrowing competitively, freely all the time. Conversely, some argue that the newly proposed guarantor model would be pro-cyclical. Meaning that the model will work great during strong markets, but when there’s a shock to the system, the GSEs will find themselves challenged to borrow and effectively compete and provide financing. In Wallison’s view, most things outside of ensuring access to housing can be taken care of by the private sector, for example, automobiles and food. When looking at how the private sector operates in the United States in a very competitive way, most of the things that people want have very stable prices without the government’s involvement at all. Wallison strongly urges that taking the government out of the housing system will stabilize housing prices and will provide more opportunity for housing while reducing the risk of another housing bubble. The competition between Fannie Mae and Freddie Mac competing with the FHA has been driving down underwriting standards so they can allow more low-income people to buy homes. However, Wallison believes that the result has been much higher home prices for everyone; especially low and moderate-income families who have been priced out of the market when they’re trying to buy their first home because prices have risen faster than their wages. The private sector in this country produces goods and services at prices people can afford. According to Wallison, there is nothing about housing that is any different from any other private sector. Housing is simply a product. “Let’s see how the housing finance system works without the government and the distortions the government introduces. 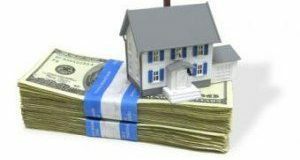 If we then find that low and moderate income families cannot afford homes, we should rely on some kind of narrow government program that applies only to those families and is run by the FHA,” Wallison suggests. According to Murin, there can be room for an independent Fannie and Freddie that has a catastrophic backstop with the government but that also is fully responsible for the credit losses. According to DeMarco, the principles to base an ideal housing policy on are first, fix what’s broken and then preserve what works in support of consumers in the market. Second, the transition from the old system to the new one should avoid disrupting consumers and markets. Third, private capital should bear all but catastrophic mortgage credit risk, so that market discipline contains risk. DeMarco notes that the government should provide an explicit full facing credit guarantee on mortgage-backed securities (MBS), but with a preset mechanism to ensure any catastrophic loses that call upon taxpayers, support will be repaid fully. Next, the government should provide a regulatory framework that is clear and equitable across all participating companies and ensures that participants in the housing finance system operate in a safe and sound manner. Additionally, replace the government protected GSE duopoly with a structure that serves consumers by promoting competition, affordability, transparency, innovation, market efficiency, and broad consumer access to a range of mortgage products. Replace the separate Fannie Mae and Freddie Mac MBS with a single deep and liquid MBS that has multiple issuers, backed by private capital, and wrapped with a government guarantee. And implement the common securitization infrastructure that operates with a uniform set of standards for mortgage servicing, investor disclosure, and dispute resolution. For Konyk, the major principles that must turn into action should be that, first, consumers are informed and then empowered to make their own choices, without a lender having to assume all the responsibility that the borrower may have made a bad choice. The role of the CFPB itself has been very much in question in recent months after President Trump appointed White House Budget Director Mick Mulvaney as Acting Director of the organization. There followed a legal dispute between Mulvaney and CFPB Deputy Director Leandra English, who was appointed to the same role by outgoing CFPB Director Richard Cordray. With both parties claiming they were the rightful inheritor of the position, the decision turned to the courts, which backed Mulvaney through several appeals and challenges. Mulvaney, a longtime critic of the agency, has set a very different course for the CFPB. Unsurprisingly, this scaling back of the CFPB’s regulatory focus has drawn ire from Sen. Warren, who was an advocate for the creation of the CFPB and a staunch defender of it ever since. She has butted heads with Mulvaney over the proper role of the CFPB, criticizing Mulvaney for scaling back investigations into things such as payday lending practices. Warren has also been pushing back recently against the bipartisan Economic Growth, Regulatory Relief, and Consumer Protection Act, which would scale back some of the regulations put in place by Dodd-Frank after the financial crisis. Overall, the industry needs to look at the weaknesses in certain things, but it isn’t the same as saying, “Well, we’ve always done it this way, so this must be good.” Instead, it needs to say, “Look, this may be better. Here are the pitfalls. Here are the safeguards against them. And this is how we should be moving forward.” Konyk strongly urges that despite the current active market, without taking action and fixing the problems now, the next downturn will come and cause panic again. “You don’t want to fix them in a panic. The time to fix them is now.” And the only way to do so is if policymakers from different parties, views, and perspectives can get to the table without the animosity. The housing system will only reach progress out of frank, open conversation and the understanding that each side has its reasons for its beliefs. Next: For Waterfront Properties, Is Location Everything?